A mysterious light was spotted in China last night, leaving residents baffled. Witnesses shared pictures and videos of an identified object appearing to light up the night sky like a massive torch, seen above the regions of Beijing, Chongqing, Shanxi and Inner Mongolia at about 6:45pm local time. A UFO expert claimed that the footage looked like the trail of a rocket motor. Witnesses shared pictures and videos of an object lighting up the night sky like a massive torch, seen above Beijing, Chongqing, Shanxi and Inner Mongolia at about 6:45pm While residents were convinced that extraterrestrial beings are paying Earth a visit, a leading UFO expert claimed that the footage looked like the trail of a rocket motor. 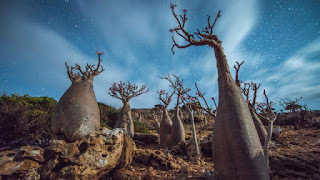 A Fire Has Been Burning In The Desert Non-Stop For The Last 40 Years Ranging from the weird to the wonderful, our planet is a treasure trove that’ll get you to pack up your luggage and go see these happenings up close. 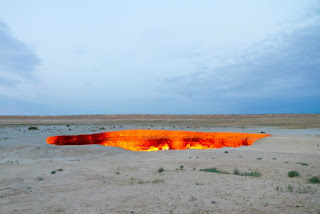 Of course, in the case of a certain desert fire in Turkmenistan that’s been burning for four decades and counting, you might have to be a little careful when getting close. It was discovered in 1971 by Soviet geologists when the ground beneath their drilling rig collapsed, leaving a 70 metre-wide hole. Since the hole was filled with poisonous gas, these geologists decided to set the crater alight. What they didn’t count on was the crater to burn for four decades straight. Ah well, we live and we learn. Just take care when you’re approaching it. It's Not Easy To Get a Sitting President Leave Office. But There Is Improvement In Africa's Politics. The Biggest Challenges An Environment Could Ever Face. None of Africa’s problems is beyond the means and resources within the continent. What has largely lacked is proper policy making and implementation. As discussions and debates emerge from the just released World Happiness Report 2017 , it is worth to look at factors that have inhibited the general well-being of the African people. In the African case, unlike many developed countries or other continents, there is a shared theme cutting across the countries with many individuals believing most of the problems facing the continent largely lie or can be resolved by the ruling elite. The problems facing African countries raised by the people surveyed in the report mirror those raised in several others economic and development reports. According to the citizens in the 44 countries surveyed in World Happiness Report 2017 these are the major problems facing the continent. We observed another Africa Month in May with continent-wide celebrations on the 25th of May – Africa Day, which has a very important symbolic meaning. 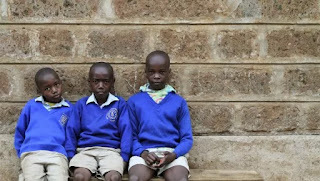 Africa's Education Crisis; In School But Not Learning. Rebecca Winthrop and Adam Barton. little while in they are in school that they will not be much better off than those kids who never attend school. As a consequence, theprognosis for Africa’s future economic growth and social development is poor. Income (GNI) per person per year. with just $90 GNI per person. African nations out of poverty. The Success Achieved in Buhari's Government as Nigeria Turns 58.
our duty to consolidate this great legacy. where we find ourselves today. We Have So Much For Which We Shall Be Grateful. Buhari Tells Nigerians. President Muhammadu Buhari on 58th anniversary addresses to the nation, on Monday, 1st October. independence, we know we are on the right path. aspirations that unite us as a nation,” he said. grateful, and in which we should rightly take pride.